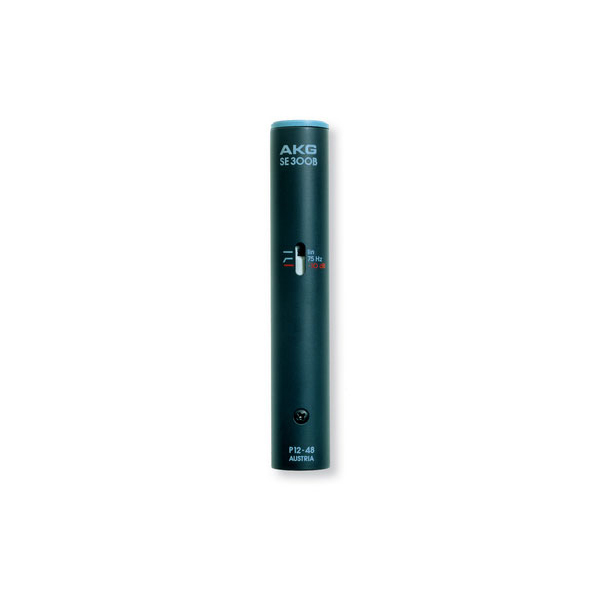 The AKG Blue Line Series consists of a family of directional prepolarized condenser capsules and microphone configurations that are all compatible with a single powering/output assembly. This is the SE300B pre-amp. The SE300B is a transformerless pre-amp. It includes a switchable bass cut filter and 10dB attenuation pad. The SE300B requires 9-52V phantom power. When combined with the CK93 hypercardioid capsule this microphone is highly recommended for location sound recording . The response is very smooth and warm with excellent rejection of ambient sound. 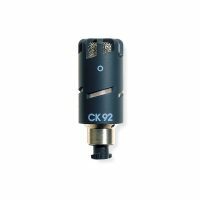 Blue Line capsules offer the following patterns: CK91 (cardioid), CK 92 (omnidirectional), CK 93 (hypercardioid), CK 94 (bidirectional), and CK 98 (shotgun capsule, high directivity). The Blue Line Series is suitable for studio, live sound, and a variety of speech reinforcement applications, where the facility for switching capsules is a major advantage. The positive Modulock™ bayonet design allows these changes to be made quickly. The Blue Line microphones exhibit accurate axial response and uniform pattern control. Self noise and maximum operating levels are exemplary, creating a very wide usable dynamic range for the most demanding operations. The SE 300B powering/ output assembly provides for 10 dB of attenuation for operation at high sound pressure levels, as well as a 12 dB/octave low cut below 75 Hz for close usage.